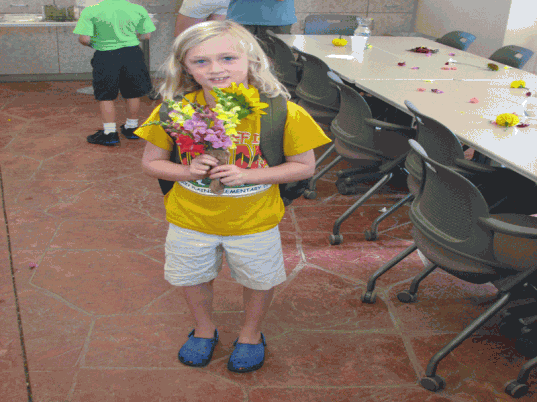 A day at your local botanical garden with your child can be much more than just a way to experience beautiful flora. Sure, strolling hand-in-hand through the gorgeous gardens and finishing the day with a lazy picnic among the flowers is lovely, but there are lots of other ways to experience the botanic gardens, too. Start by checking your local botanical garden's event calendar. Many gardens offer programs that the entire family can enjoy together from an evening of stargazing and cider sipping to catching a concert on the green. Here are 5 of my favorite surprising ways to experience your local botanic garden with your family. 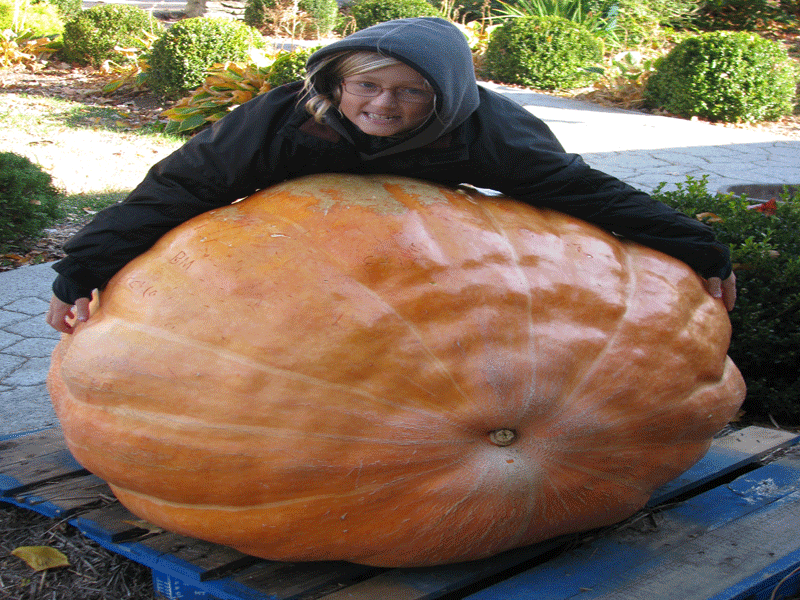 Does your family have special fall and winter traditions? Celebrate autumn by wandering through a corn maze together or by visiting the largest pumpkins in the pumpkin patch, and in winter, get in the spirit with a night of holiday light viewing. Chances are, your local botanic garden is the perfect place to enjoy all kinds of seasonal activities like these. While botanic gardens are mostly known for their beautiful flora, most botanic gardens also have animals on the premises. You may be able to view a collection of birds, bugs, insects or other small animals on your next visit. Many gardens also have special animal encounter programs, where you can see and learn about some of the world’s most amazing animals and insects up close and personal. 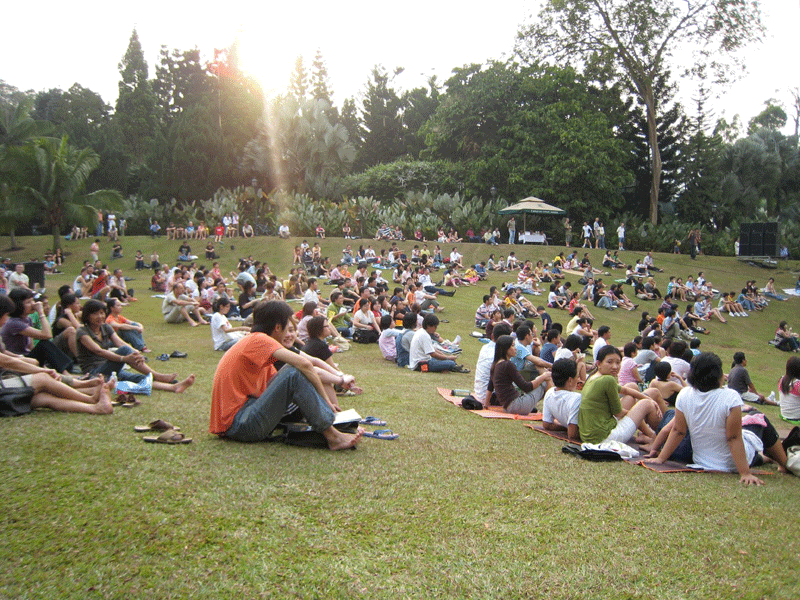 Who wouldn’t enjoy listening to a story as you relax on a picnic blanket in the gardens? Many gardens offer storytelling programs that are geared towards younger children or the entire family. Wouldn’t this be a great family activity? Your local botanic garden probably offers classes for children as well as an array of classes for teenagers and adults — some even offer options designed for children and parents to take together. My son and I have taken classes to learn how to make a bat house, how to plant a raised garden bed, how to arrange flowers and a special class on the lifespan of the dragonfly, all of which were fun for both of us. Check your local botanic gardens event schedule to see when they will be having a garden art exhibit. I can’t think of a better place to experience art than in a beautiful garden setting. Many botanic gardens have different exhibits throughout the year featuring beautiful sculptures and other large pieces of art that are placed throughout the garden. What other ways have you experienced your local botanic garden? I love visiting our local conservatory, Franklin Park. Its gorgeous and they have awesome things to do all year long and for many seasons and holidays. 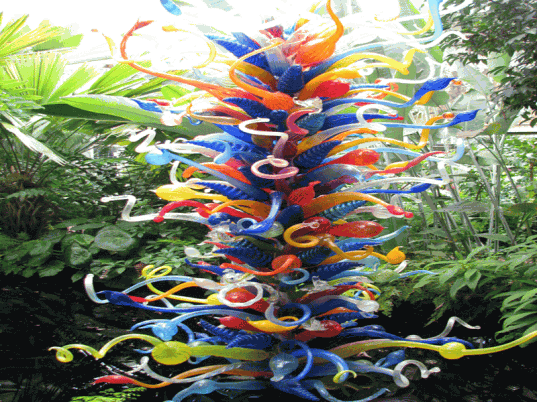 Love the Chihuly pic! We have a Chihuly installation at our conservatory too! Make it a Holiday Tradition Does your family have special fall and winter traditions? Celebrate autumn by wandering through a corn maze together or by visiting the largest pumpkins in the pumpkin patch, and in winter, get in the spirit with a night of holiday light viewing. Chances are, your local botanic garden is the perfect place to enjoy all kinds of seasonal activities like these. Have a Close Encounter of the Animal Kind While botanic gardens are mostly known for their beautiful flora, most botanic gardens also have animals on the premises. 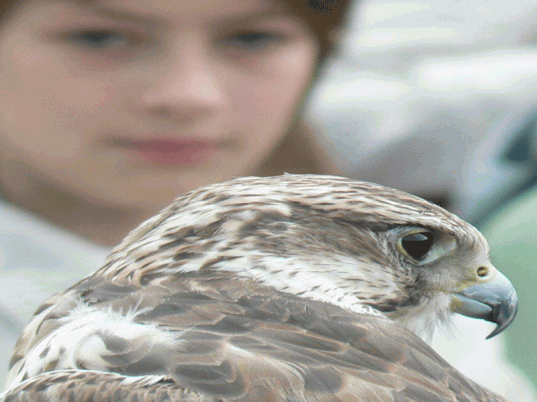 You may be able to view a collection of birds, bugs, insects or other small animals on your next visit. Many gardens also have special animal encounter programs, where you can see and learn about some of the world's most amazing animals and insects up close and personal. Garden Stories Who wouldn't enjoy listening to a story as you relax on a picnic blanket in the gardens? 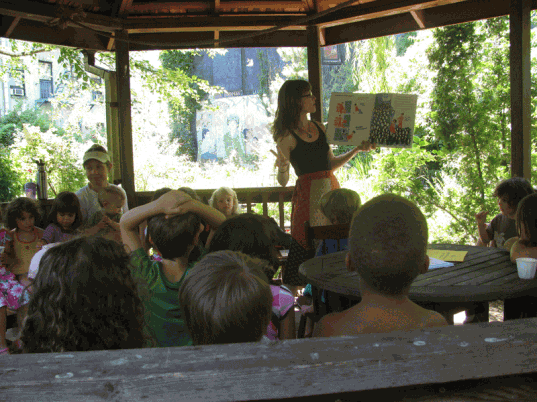 Many gardens offer storytelling programs that are geared towards younger children or the entire family. Wouldn't this be a great family activity? Take a Class Your local botanic garden probably offers classes for children as well as an array of classes for teenagers and adults -- some even offer options designed for children and parents to take together. My son and I have taken classes to learn how to make a bat house, how to plant a raised garden bed, how to arrange flowers and a special class on the lifespan of the dragonfly, all of which were fun for both of us. Get Inspired Check your local botanic gardens event schedule to see when they will be having a garden art exhibit. I can't think of a better place to experience art than in a beautiful garden setting. Many botanic gardens have different exhibits throughout the year featuring beautiful sculptures and other large pieces of art that are placed throughout the garden. What other ways have you experienced your local botanic garden?